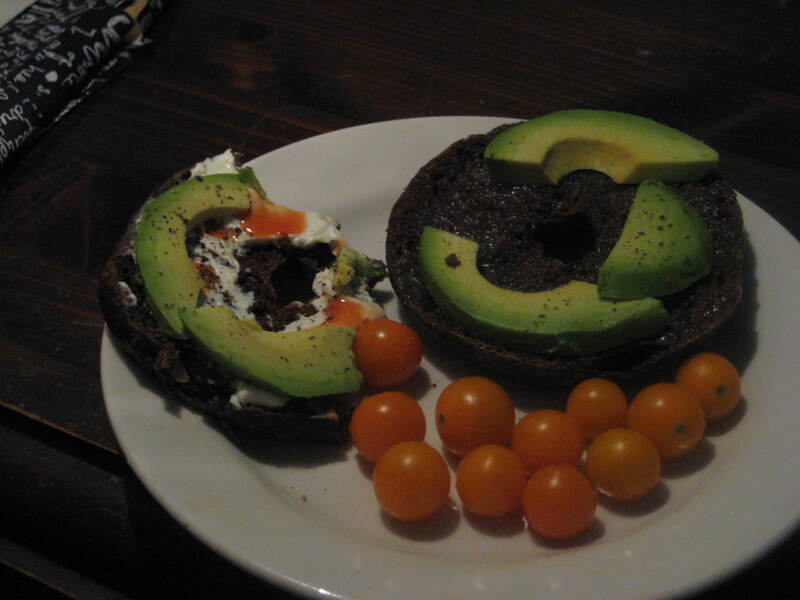 A pumpernickel bagel with onions from Metropolitan Bakery, Philly cream cheese, sliced avocado with lime juice, Frank’s hot sauce, and cracked black pepper. Delicious. Those orange-tomato beauties are from the Clark Park Farmers Market. Mega-mart tomatoes simply cannot compare. Last night I made another incredibly amazing vegetarian feast that resulted in an abundance of leftovers since it’s just me living in the house at the moment. North African-style spicy collards, fried tofu, and coconut/cardamom-scented brown rice. Technically a vegan meal, although it wasn’t intentional. It just happened to turn out that way. Veganism isn’t the lifestyle for me! Tags: avocados, bagels, Breakfast, metropolitan bakery, Vegetarian. Bookmark the permalink.